So all told, that's David Tennant (Doctor Who), Elodie Yung (Daredevil), Katheryn Winnick (Vikings), and Udo Kier (Far Cry). Not a bad ensemble for fighting off the undead. I admit I'm most excited about Tennant, primarily because he was my Doctor, and I just can't say no to that face. But fair warning, if he says anything along the lines of "I don't want to go," I'm gonna lose it. Stay tuned for news from the full Zombies mode reveal on July 20. 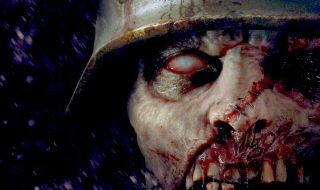 In the meantime, read up on what we already know about it and its new story, and check out our interview with developer Sledgehammer Games.